"Pork pie workshops? THIS IS WHY WE'RE HERE!" 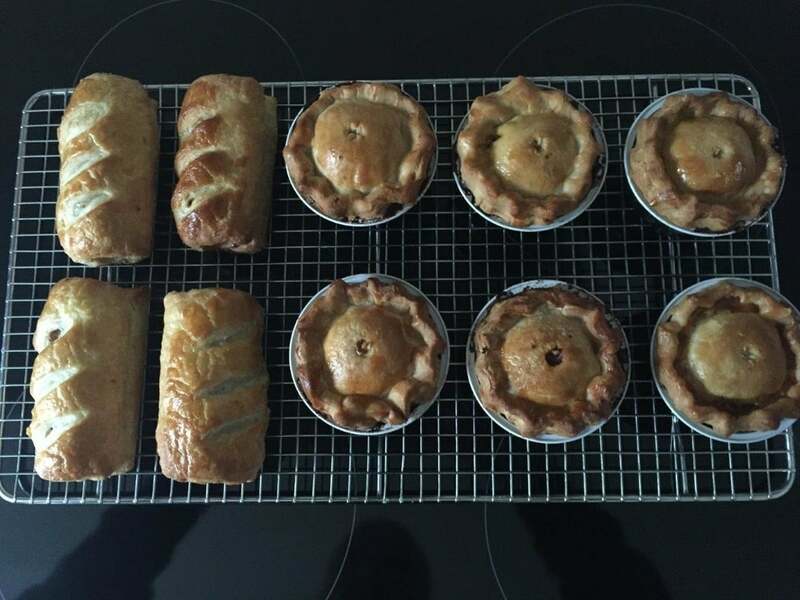 Ever fancied making your own pork pies or know someone who'd love to? We can take the mystery out of making really good hot water crust pastry. We've got together with our long time friend, Dr Tim Kinnaird (you may well recognise him as a past BBC Masterchef finalist and now a frequent judge) who runs the wonderful Macarons and More Pâtisserie in Norwich. 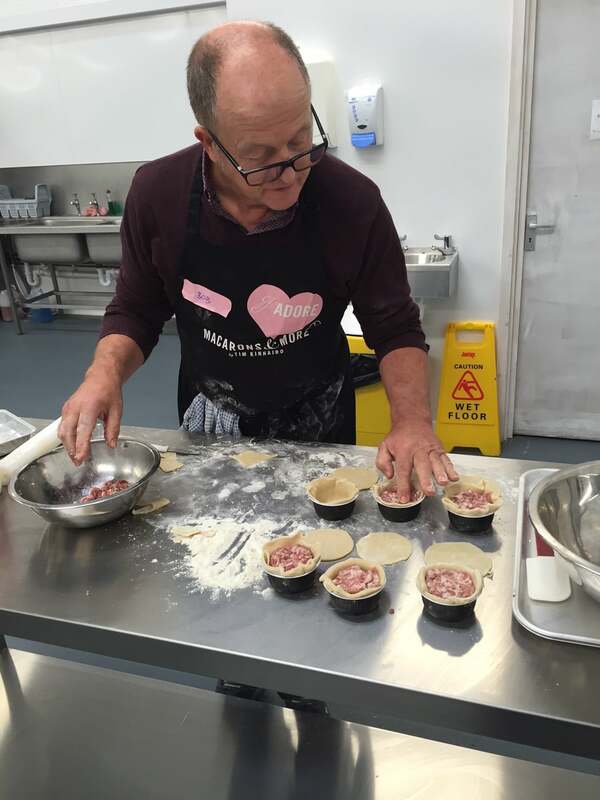 Sarah will show you how to make your own pork pies and Tim, or one of his team of pâtissière, will teach you to make puff pastry with ease so that you can make your own sausage rolls. We'll be based at the beautifully equipped Macarons & More production kitchen on Drayton Road in Norwich (just off the ring road), where Tim has a fabulous dedicated cookery school area. Sarah is very experienced as a pork pie teacher, she even taught the Army's Officer's Mess chefs on one memorable occasion. You'll gain new pastry skill and have lots of fun too. As well as having a delicious lunch whilst your pies cook, you'll get to take all your own baked pies and sausage rolls home with you. For more detail, and to help decide if a pie course is right for you, have a look at Sarah's blog here. Tim also sells pie course gift vouchers. The Pork & Pastry courses always sell out - so best to book promptly!